E3 2015 - Ubisoft reveal new IP, For Honor - Use a Potion! The game lets you play as either Samurai, Vikings or Knights – each class coming with their own weapon set and play style. The game also lets you customise your character through their armour or colours – there’s plenty for you to customise to create your own unique look. The game offers a single player campaign where you can come up against the AI, but it’s main focus is on multiplayer offering co-operative and competitive options. 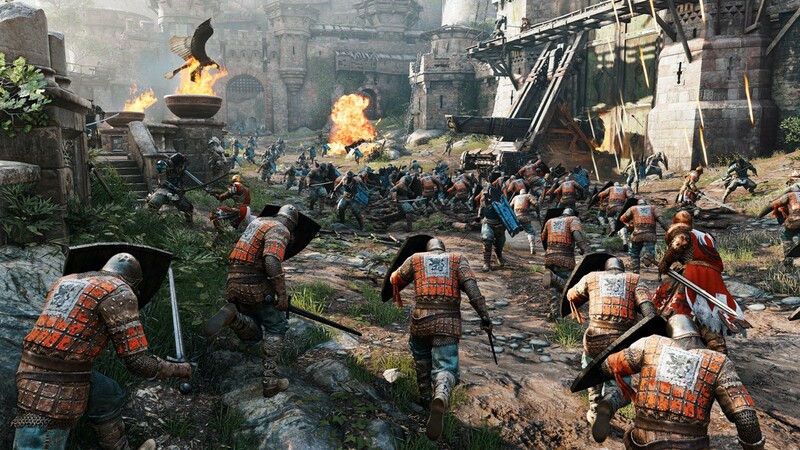 Either team up and use all your skills and communication to capture control points and slaughter enemies, engage against other players online with the Art of Battle system letting you feel the weight of your weapons and the power of every strike, or a combination of both – For Honor offers a lot to you. It’s also a ridiculously beautiful game – I can’t wait to get my hands on it. It’ll be hitting Playstation 4, Xbox One and PC – no details on a release date yet.